Well November has arrived and this means one thing- Movember! Movember raises funds for research into prostate cancer and men’s depression- learn more at www.au.movember.com I haven’t really done much for Movember in the past except make donations to the Movember participants. This year is different because I went to my favourite shop for things to decorate the library- Typo! 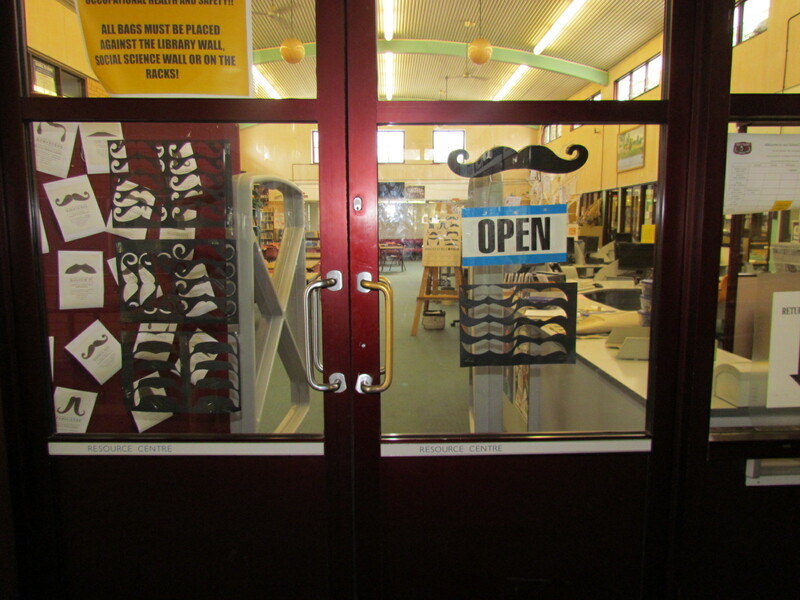 The shop was selling a large wooden moustache with hooks, big canvas prints called Moustache’s of the World, as well as calendars, sticky notes, pens etc. I bought the big stuff and got decorating. 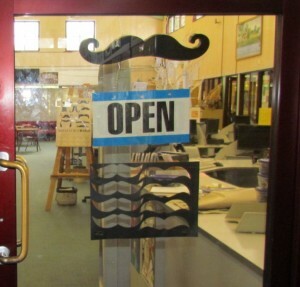 The first thing I did was take all the extra key hooks off the wooden moustache and turned the hooks around so we can hang the library open/ closed sign off the big moustache. 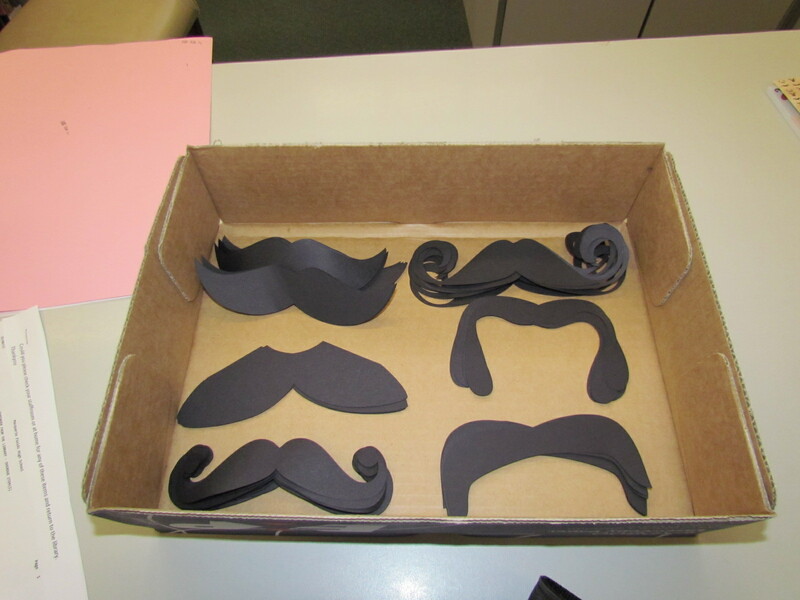 The next item was setting up the Moustaches of the World Canvas print in a place where everyone could read the levels of difficulty and growing time needed for different styles of Mo’s. 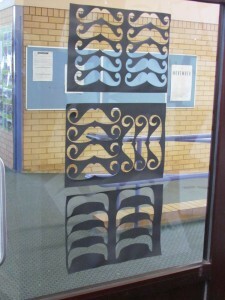 The third item we created was bookmarks based on the Moustaches of the world 2012 Calendar. These have been extremely popular with students pulling the bookmarks off the bookmark tree or rifling through the box on the circulation desk to collect all the designs. The instant mo's for those unable or unwilling to grow a mo in MovemberThe range of instant mo's available on display as part of the circulation desk. 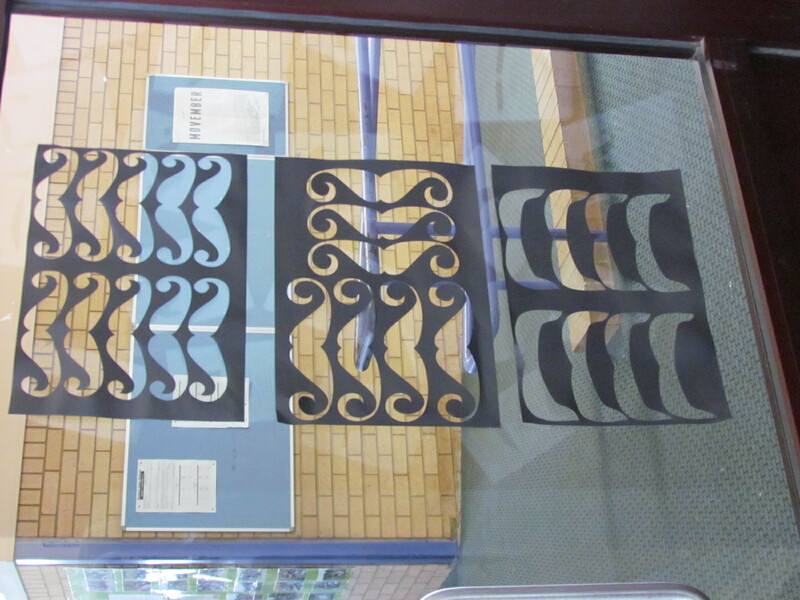 Using the left over paper from the instant mo's to decorate the windows. This has given me an idea for the christmas display. Any guesses?